BOOKBINDING SKILLSHARE / Erica will guide you step-by-step through the process of hand-stitching a woven spine journal to record your visual and written stories. 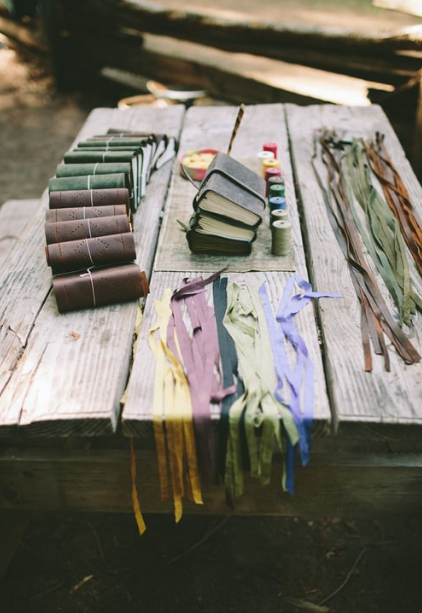 We will explore how a journal can be a tool to ground the visions, initiations and ceremonies we experience. We will give thanks for the materials provided to us by Nature and through guided visualization, imbue them with intention. You will depart the class with a journal in your hands and, in your heart, the empowered ability to create another.